Whether you’ve just moved into a new home or you’re sprucing up your existing property, finding the right furniture is an important decision. We all want our furniture to look great, but it’s also handy to have pieces that can be functional, too. Finding furniture which is flexible, fashionable and functional can help you fill your home with worthy investments which will make your home run smoothly and look fantastic. Here are some smart furniture investments you can make to ensure your home is filled with only quality furniture. The versatility of this piece of furniture should come as no surprise — after all, it’s in the name! What might come as a surprise, however, is that sofa beds are no longer only available as the dumpy, frumpy, lumpy things you might remember. In fact, sofa beds have become increasingly stylish over the years, meaning you can make your living room look and feel elegant while also providing some extra sleeping space for when friends and family come to stay. Instead of resting your television on a table or simple stand, invest in a high quality entertainment system as a way to mount your television and for some extra storage space. Here you can store everything from wires and remotes to DVDs, books and even important paperwork, helping your living room feel much less cluttered. A vanity is the dream bedroom addition for many people out there. It reflects the height of luxury when you can sit down at your table and take your time getting glammed up before starting the day ahead. However, a vanity also takes up a fair amount of space, so why not be smart with your choice? A vanity that doubles as a desk gives you a dressing room and a home office in one, with a lift-up mirror for getting ready and a drawer for your laptop, paperwork and office supplies. A console table is the perfect functional item of furniture for your home’s entryway. It gives you the opportunity to create an attractive table display for people to admire as soon as they enter your home, as well as giving you a place to drop your keys, purse and post when you step through the door. Choosing one in a bold shade will give your home an energizing pop of colour straight away. You can never have too much seating, especially if you like to play host to friends and family. More often than not, we’re forced to bring in chairs from the dining room to make sure everyone has a place to relax, but choosing an upholstered option for your dining chairs can make this option less of a short straw. Traditional dining chairs aren’t known for their comfort, but a cushioned version will give your guests a more inviting place to sit while giving you the chance to play with patterns. The sideboard is the ultimate piece of flexible and functional furniture. Not only does a sideboard look great, but it can also fulfil so many different duties. A sideboard is a great place for storing odds and ends, fine china and books, but you can also use it to create a drinks cabinet, or to create an attractive display of ornaments on the ample surface space it provides. 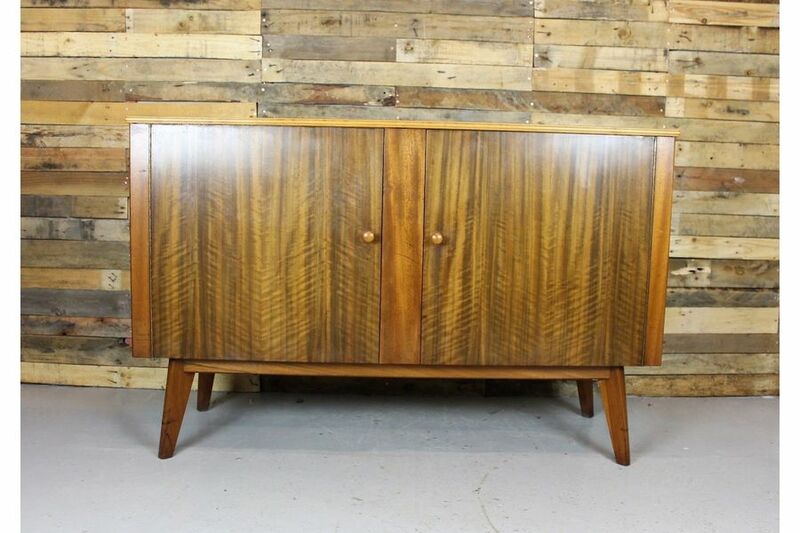 Opting for a vintage sideboard will give your home something that’s both beautiful and unique, and it’ll fit perfectly into a hallway, dining room or living room, so be sure to check out reputable websites like Vinterior for the best options out there.